Symphony Link™ grows with you. Expand network range using power-efficient repeaters without impacting latency. Symphony Link™ acknowledges all uplink and downlink messages to ensure successful transmission from devices. Symphony Link™ manages frequencies, time slots, node privilege and throughput to insure QoS. Symphony Link™ economizes on resources by enabling patch security issue patches or new feature or bug fix management without physical, human attention. WiFi and ZigBee ranges are too limiting, cellular is too expensive and power-hungry, and most LPWAN systems don’t have the features necessary for your application. 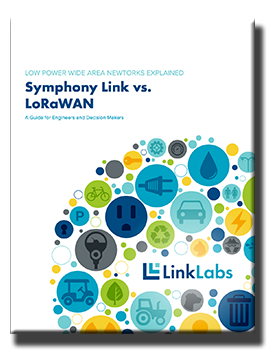 Symphony Link is specifically designed for low power, wide-area network (LPWAN) applications that are easily scalable and perform with best-of-class reliability. 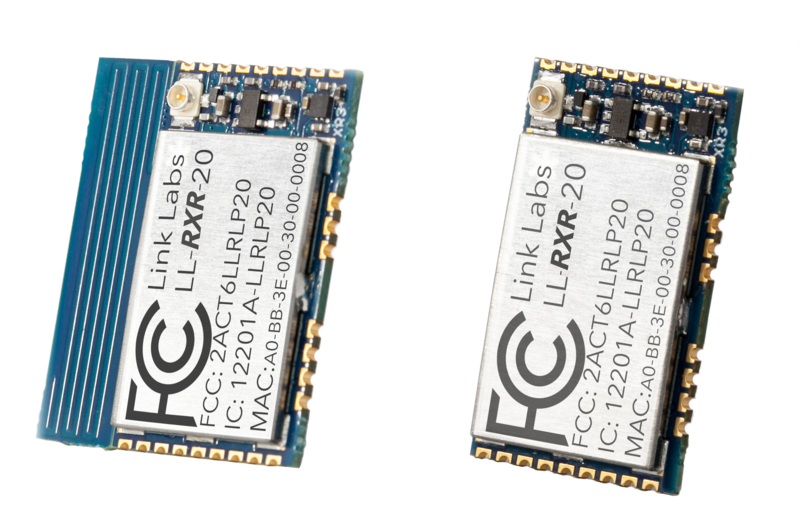 Optimized for battery-powered applications, the RLP-20 is an industrial-grade, low power, wide-area (LPWA) module for Symphony Link connectivity. This surface-mount module features an easy-to-use UART serial connection to the host. The RLP-20 is available with an internal trace antenna or can be used with the u.Fl or pin RF output. It is ready to deploy with full FCC certifications. The RXR-27 features a 27-dBm output power and better front-end noise figure, which makes it perfect for AC-powered applications where additional signal margin is required. It is available with or without an antenna and is ready to deploy with full FCC certifications. The industrial-grade Symphony Link gateway connects to hundreds or thousands of Symphony Link modules. 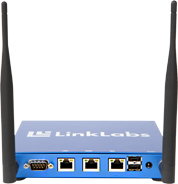 This powerful device manages security, uplink and downlink, and many advanced low power, wide-area (LPWA) features only available with Symphony Link. For data backhaul, the gateway features ethernet, WiFi, 3G cellular, or 4G LTE. The LL-BST-8 is passively cooled and can be installed in the toughest industrial environments. This outdoor gateway is a true IP67 industrial temperature-rated gateway for use in harsh outdoor environments. 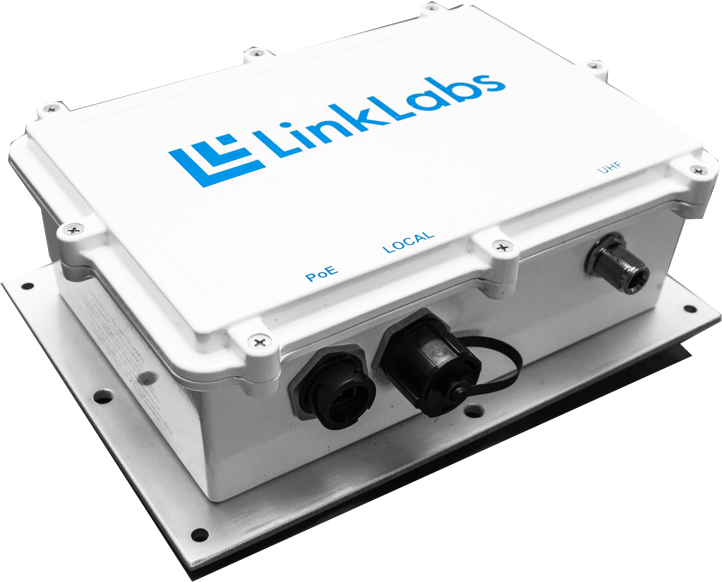 From parking lots, to airports, to oil fields, the outdoor gateway can connect low power, wide-area (LPWA) devices across huge areas. 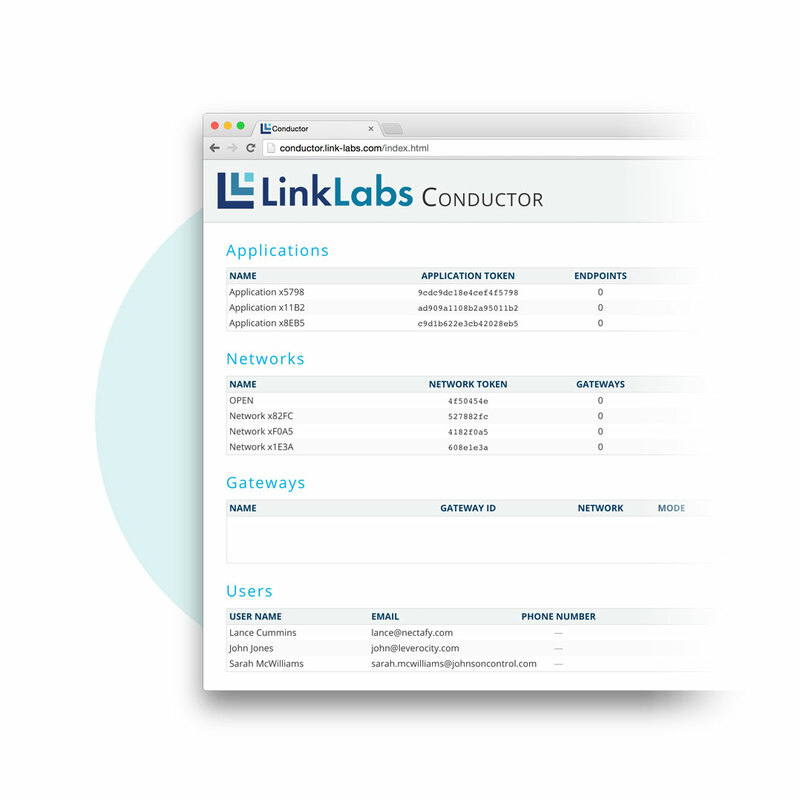 Conductor is an enterprise-grade data and network management service for Symphony Link. It provides a highly scalable global data infrastructure that makes building a Symphony Link application as easy as connecting to an API. Conductor manages long-term database storage, downlink routing, roaming, sessions, certificates, PKI security infrastructure, and network infrastructure settings. There is no cost to use Conductor when testing and prototyping. Once in production, it costs pennies a month for this world-class data and network management. The Conductor data and network management platform features a sophisticated API-driven interface. Users can access data by querying historical data via REST or receive real-time streams of data via pub-sub ZeroMQ or Web Sockets. Data access security can be managed via basic authentication or OAuth2 tokens. There is no per-device key management required with Symphony Link. All end devices need only to be set with the application-wide token and the network access token. This allows firmware to be exactly the same on all devices that are manufactured. The Symphony Link Development Kit contains everything you need to begin application development and quickly and securely tests your IoT application with the Symphony Link technology. Additionally, you can demo mapping, range-testing, and air-sensing systems. How far could your network reach? Explore our custom range calculator and see for yourself. 6dBi Omni Gain on Basestation Antenna - To assume a worse basestation antenna gain, subtract gain from another term, like fade margin. Count on the most reliable LPWA technology on the market.  Guaranteed message receipt: Because Symphony Link acknowledges every message, you’ll know immediately if a message has been successfully transmitted from your device. Real-time power and data rate control: Before every Symphony Link transmission, an end device calculates the reverse link to the gateway and adjusts its transmit power and modulation rate to match. This way, nodes throughout the network have a balanced link budget. Multiple gateway coexistence: Symphony Link uses a dynamic channel mask controlled by the gateway, ensuring as few collisions as possible. Bidirectional message acknowledgement: Symphony Link’s adaptive acknowledgement encoder allows nodes to transmit less frequently, which saves battery power and increases system reliability. Interference avoidance: Up to 48 gateways (and their star networks) can coexist in the 915-MHz ISM band without affecting performance or adding redundant receive channels. This means adding a gateway truly increases capacity, unlike other LPWAN systems. Utilize flexible architecture that fits your enterprise or industrial solution. Extensible API: Symphony Link end users have the option of adding functionality directly into the gateway through an API, which allows for systems that receive a message from a local node to immediately process and generate a response without any internet connection. Decentralized architecture: Symphony Link gateways perform a large portion of network processing locally, eliminating the need for a single, intensive processing server. This means gateways can continue performing most of their functions during a network outage or in a disconnected state, ensuring no data is lost once the network is running again. Obtain government-grade security for your IoT application right out of the box. Public key infrastructure (PKI): This over-the-air wireless channel used by Symphony Link is considered unbreakable by NSA standards, thus preventing spoofing and assuring the identity of the infrastructure. Firmware over-the-air: The ability to patch vulnerabilities without physical device access lowers the cost, lowers the risk of deployment, and greatly improves security. Easily deploy your network without the hassle of other LPWA networks present. Repeaters: Expand the range of your Symphony Link network dramatically without impacting latency. Repeaters cost much less than an outdoor access point, allowing Symphony Link customers to cover larger areas without spending additional thousands on infrastructure. They are also power-efficient and can be solar- or battery-powered. No per-device configuration: One of the biggest frustrations you can have when deploying a different LPWA network is managing multiple per-device encryption keys at the time of production and on the server side. With Symphony Link, the host device configuration is the same for all devices of the same type, and key exchange is handled via our world-class, PKI-based Diffie Hellman AES architecture. Gateway roaming: With Symphony Link, nodes can easily roam from one gateway to another by scanning for availability. As your capacity grows, you can swap out small, single-channel gateways with high-capacity replacements. Send your data quickly and efficiently, and enjoy four times the capacity of LoRaWAN. Real-time adaptive data rate: Symphony Link is a synchronous system, which allows end nodes to determine what data rate to utilize on a frame-by-frame basis. When the link is strong, messages are fast to save power; when the link is weak, messages automatically lengthen to ensure delivery. No duty cycle limit: A duty cycle limit prevents other technologies from being able to send large quantities of data at one time—a restriction Symphony Link does not have. Quality of service: So an important alarm message doesn’t have to compete with a water meter message for channel access, Symphony Link nodes with important traffic have priority. Fixed MTU of 256 bytes: The Symphony Link protocol handles all of the subpacketization and retries to send a message when necessary to ensure delivery. HOW IS SYMPHONY LINK USED? Symphony Link is a highly scalable, low-cost alternative to tracking assets via cellular technology in a defined area. Symphony Link is the only low power, wide-area (LPWA) technology that is enough to handle the flow of critical data in industrial settings. Symphony Link alleviates the headache of trying to connect devices to third-party WiFi networks for inventory management and monitoring.